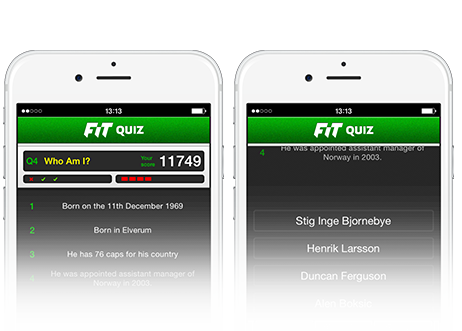 You have the option to buy FiT Credits (F/c) that allows you to create additional iTeams, buy transfers, personalise your team, play the football quiz and play Head-to-Head Credit Comps. 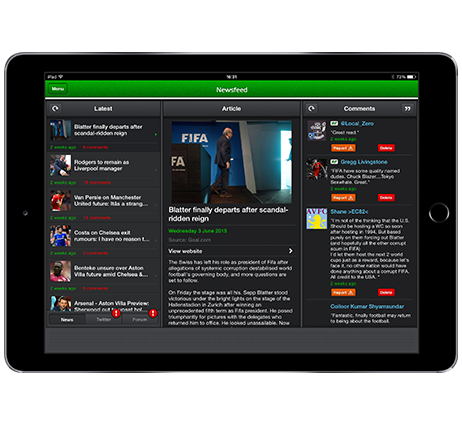 The all new Mirror Fantasy iTeam Newsfeed section brings you live and interactive news direct to your app. 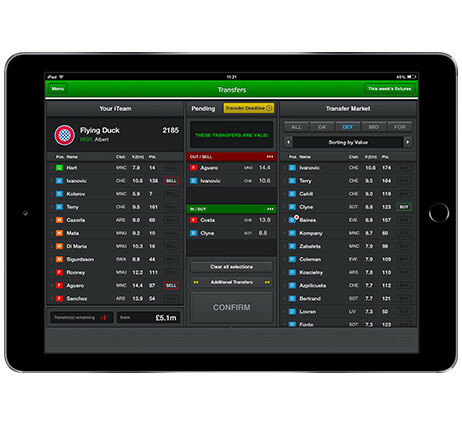 We ensure you are presented with the right news to match your fantasy gameplay and the team you support. 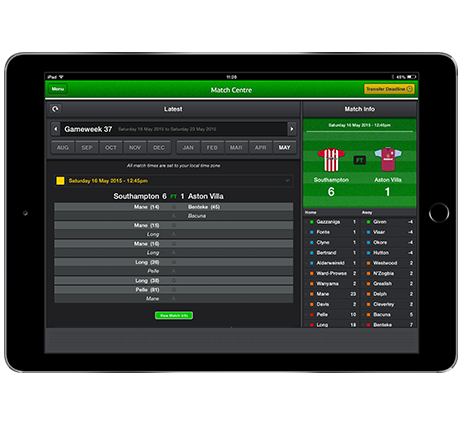 With live match scores and result data, the Match Centre keeps you updated on your iTeam player scores and is a great place to keep track of the entire league. Clicking through to the match info page provides you with real-time fantasy points for each match. So you think you’ve got a strong iTeam? 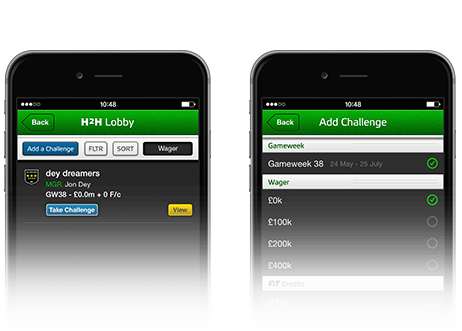 Accept a Head-to-Head (H2H) Challenge from another iTeam Manager, or simply take one from the H2H Lobby for your chance to win some in-game money. Player values fluctuate depending on player popularity, which is linked to their real-world performance and situation. For example, if a footballer’s performance increases greatly, he might become popular inapp which would result in an increase in his value. 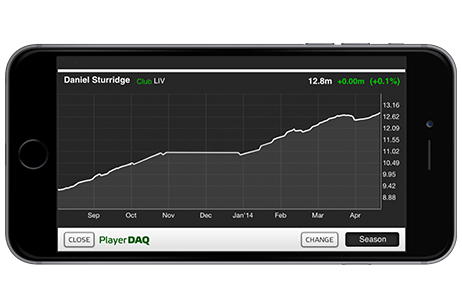 By using the PlayerDAQ to look for trends, shrewd transfer decisions can be made to increase your chance of success. 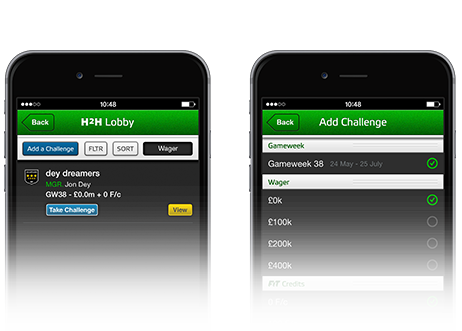 Your iTeam will be automatically entered into a Bonus H2H every Gameweek. Win the Challenge and you’ll get a boost to your finances, lose and you’ll lose nothing, so it’s win/win. Just like playing Head-to-Heads, you can also use credits to join a specific Credit Comp. This allows you to enter a leagues where the winner and runners up share the credits. Be successful in either the main competitions and/or within your iTeam’s Mini League and you’ll receive trophies and rosettes to proudly display in your Trophy Cabinet. Get smart and share your achievements via Facebook and Twitter to show the friends you beat how great you are! 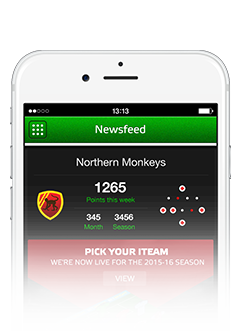 Keep in touch with your iTeam throughout the app with the new ‘Formation Tree image. This will inform you who’s playing, injured or yet to play.